4. Japanese Cylinder for vertical screen frame up/down transmission, it’s easy for adding ink. 7. The printing table is coated with hard chromum ensures smooth flat without rusting and corrosion. 8. 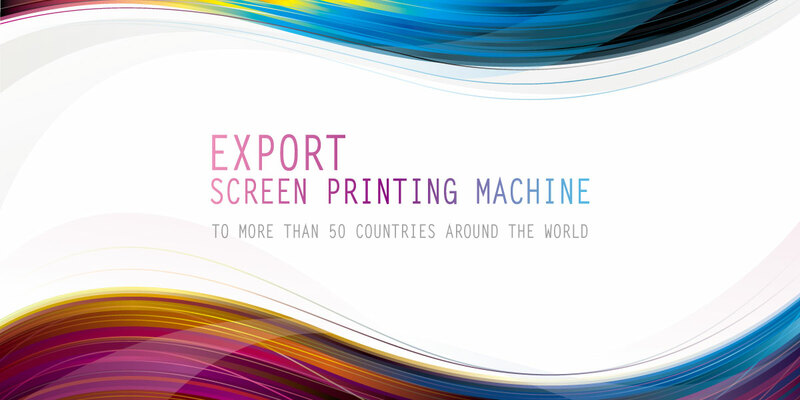 The machine has two times continuous printing function without moving screen frame. 9. 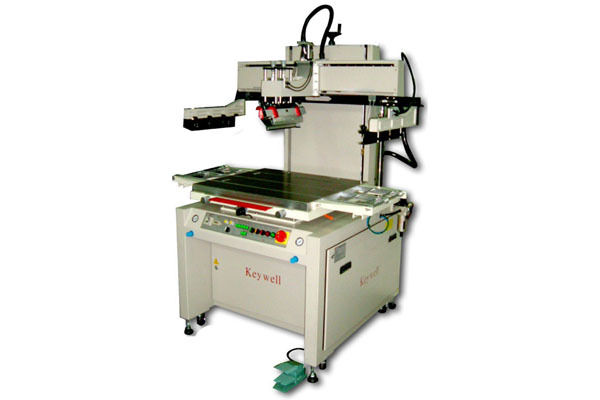 The printing table is chromium coated ensure complete flat without rusting and corossion. 10. Powerful vacuum table assures printing accuracy. 11. Three x/y micro adjustment on the tables for correcting substrate with screen. 12. When the safety plate is pressed, the screen frame will moves up and then machine stops automatically..
14. Printing table is with take-off belt for connecting with conveyor dryer. Suitable for printing side glass of mobile, furniture glass, appliance glass…ect.